arrangement is guaranteed to take any coffee break to the next level! – (3) Perfect Potfuls Assorted Gourmet Coffees by Coffee Masters – 1.5 oz. Italian roasted espresso beans that are sealed inside smooth chocolate shells. Irresistibly buttery cookies that are baked until golden and crisp. Classic cookies that are speckled with slow-melting chocolate chips. pillow cookies that wrap around centers of creamy chocolate. Thanks again to GourmetGiftBasket for offering this fantastic prize. I like the Baked Goods Sampler Gift Basket. It gives me a chance to try several products with one basket. Everything looks amazing! I would love to try the Belgian Chocolate Dipped Cookie Tower! I’d love the The Flame Enthusiast – BBQ Gift Basket for my dad for Fathers Day! Perfect! I like the Nostalgic Candy Gift Crate. Yummy. Brings back good memories. Orchard’s Abundance – Fruit Gift Basket something for everyone. I like the Mother’s day sweets & treats basket! I like the Mother’s Day Berries. I love the mothers day chocolate gift basket. This mama could use some chocolate. I love the Mother’s Day Orchard Fruit Basket! Thanks. I like the Mother’s Day Berries and anything that is healthy and possibly Gluten Free! I want to win this lovely prize! AS A FIRST RESPONDER AND A MOM, WOULD LOVE TO WIN! 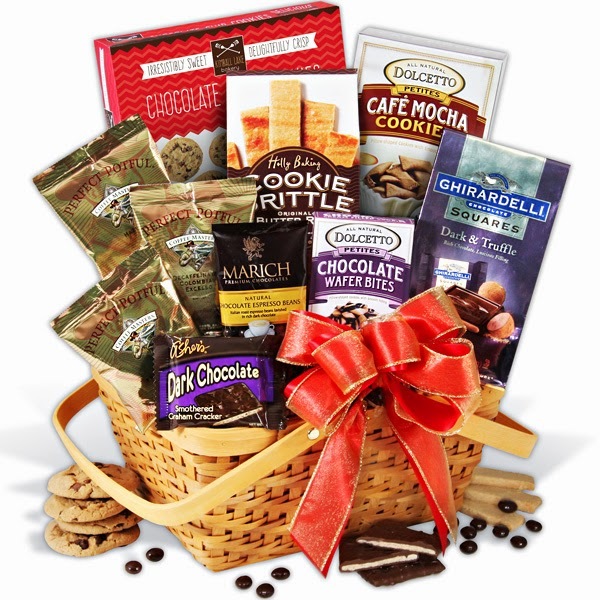 I love the Classic Red Wine Gift Basket, it’s perfect for a relaxing weekend with hubby…….. I would love to win this for my mother ,she would really enjoy this. My mother has Ms but continues to work and not let the disease define her she Is My Shero. Definitely the Mendocino County Gift Crate. It has my FAVORITES-cashews, almonds, etc. I like the Bountiful harvest gift basket! I like the Classic Red Wine Gift Basket. I like the mothers day berries basket.